I have an issue, the music on my Taxi is very quiet compared to the sound effects. It will usually disappear completely, often at the end of the song, not looping to the start of the song again. At the start of a new ball it will mostly start again, attract mode will sometimes have music, sometimes not. 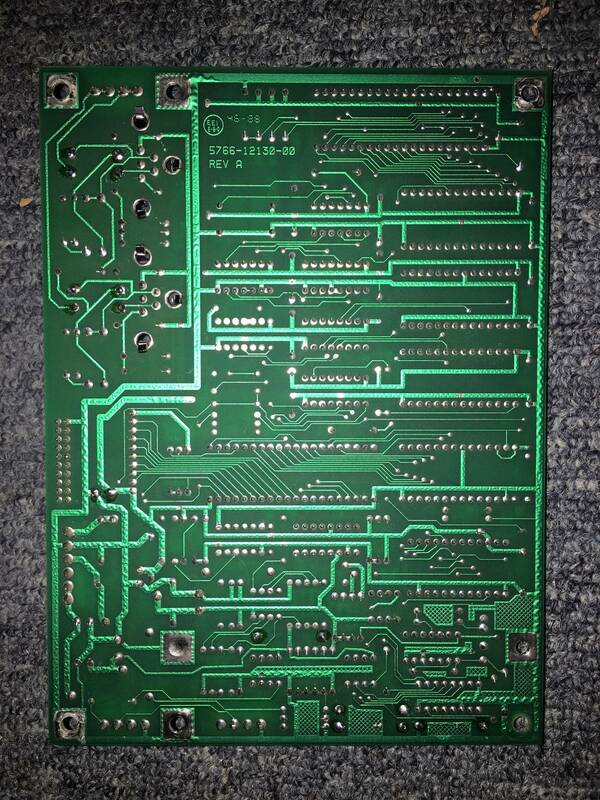 The soundboard looks clean, the cpu board has had some repairs but appears to work ok. I have reseated all cables but now lost as to where to go next. Any ideas what I should do next? Replace Roms? Ive usually had bad capacitors in sound section cause this. Thanks PPMN, any others agree with this prognosis? Replaced all the caps on the sound board but still the problem remains. I had an EATPM that did this very thing. 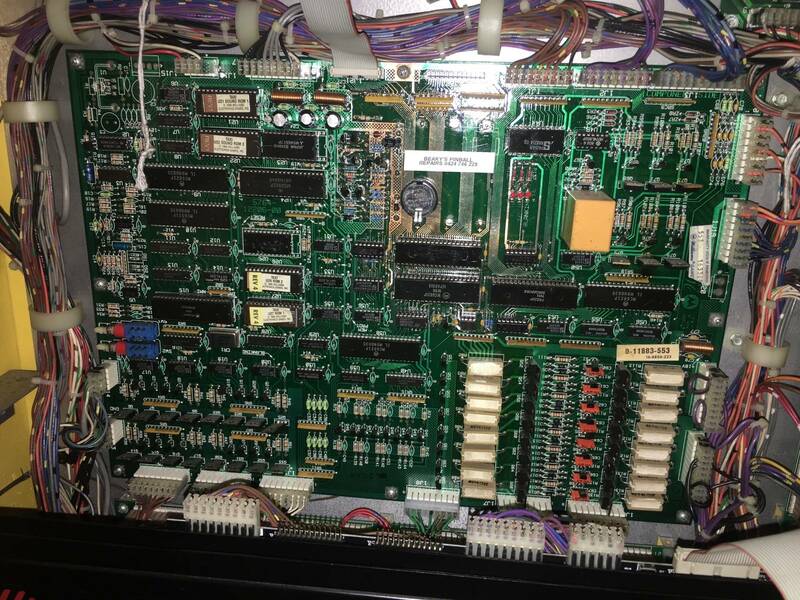 What I found was a bad connection with the EPROM and the socket. 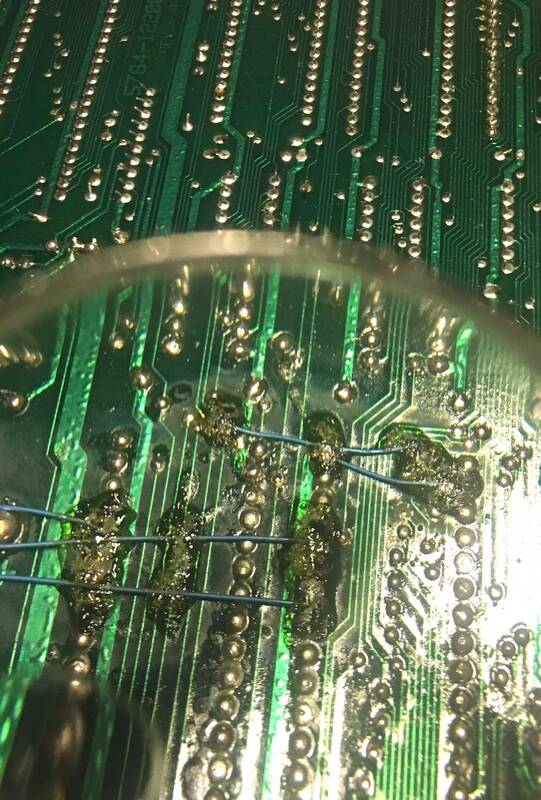 I ended up just tweaking the pins on the chip and it solved it. Let's see a picture of the board. So basically just reseated the sound roms? That's always the easiest thing to try. Carefully reseat all of the sound roms, and the cable connections. What happens when you run the sound test in diagnostic mode? Did you try adjusting the Volume pot in the cabinet? Try cleaning it with contact cleaner? i had no speech on my earthshaker recently, reseating the x2 cpu chips on the cpu boards fixed the issue. 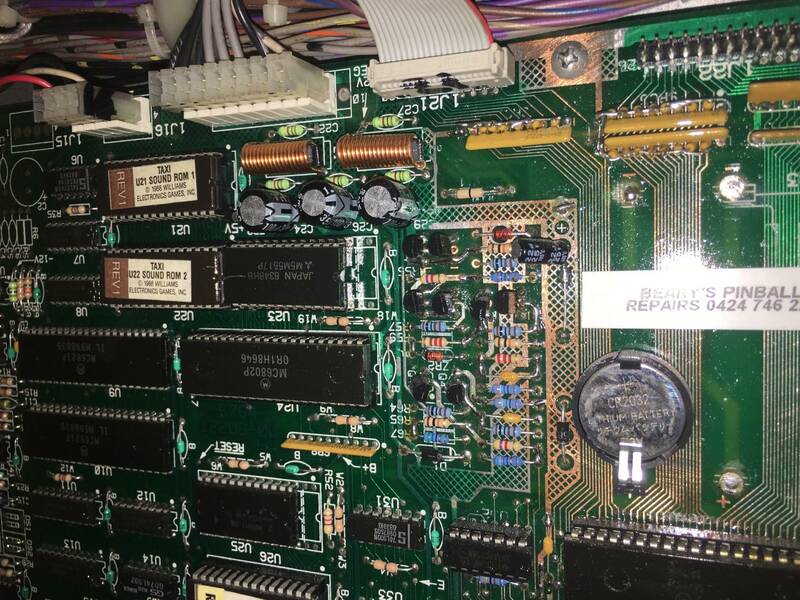 I agree with pinball plus, top left corner of mpu, replace the capacitors. Fixed many system 11 games. So I removed the sound board again, removed the sound roms, gave the legs a clean and firmly placed them back in. When in test mode, both music and sound are loud and clear. One music clip seems to be missing (?) Express Lane 1, but otherwise appears fine. Though when playing a game, the music is very faint compared to the sound effects. Really odd!! I took a quick vid of the music/sound effect test sequence. Pot appears to work as per normal. Therefore increasing the volume to achieve good music volume means the sound effects are crazy loud!! Heading out now to grab some caps for the mpu. Any thoughts on my vid/pics post?? Anyone? 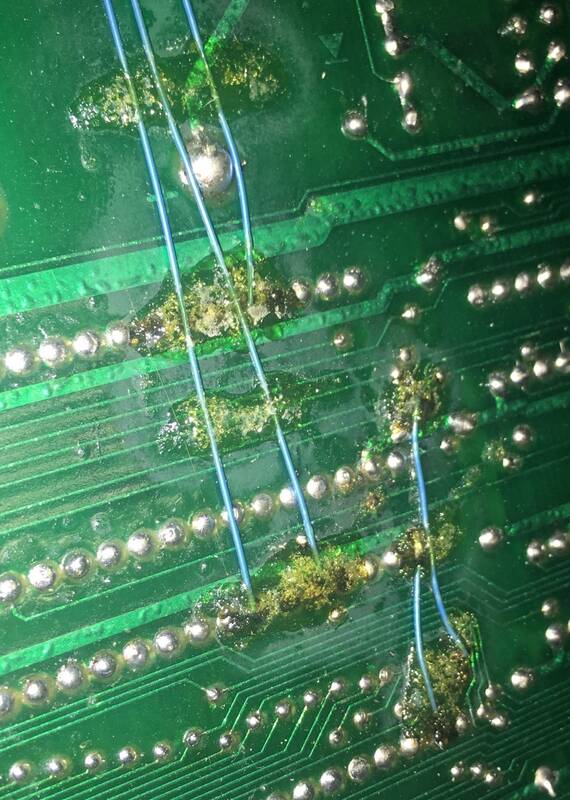 From the looks of your board, there looks like battery acid repairs were done in the area around J21, where the ribbon cable between the boards connects to the MPU. 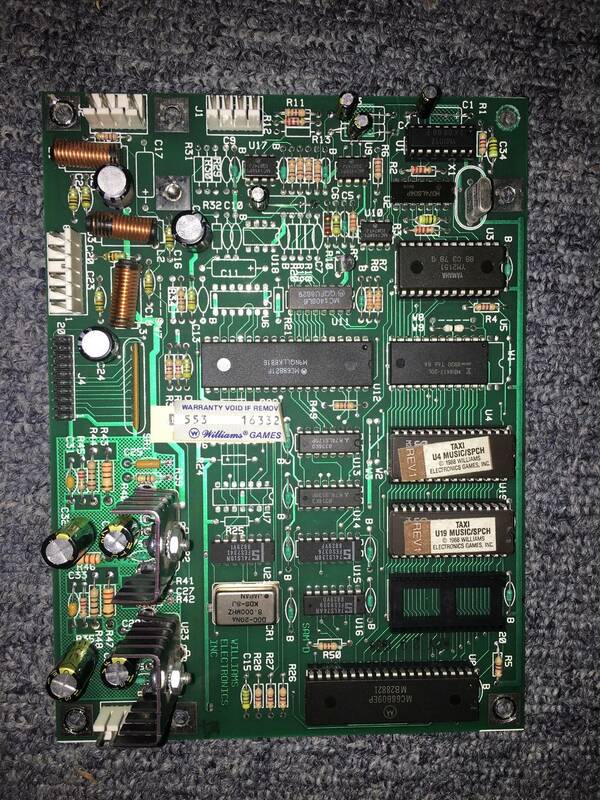 The music test is intended to test the sound card, but in order to do it properly, it has to be able to communicate through U42 on the MPU board to J21. The video you posted of your sound test, I am pretty sure you are not just missing the one sound, I believe it is playing the wrong sounds in a couple of those tests at well. Perhaps someone who owns a Taxi can confirm which sounds are incorrect. Regardless, from the pictures you posted, it appears that SRC3 has been replaced. It lies along the communication lines that runs between U42 on the MPU board and J21. If you have a break in one of these lines, your sound board will do funny things like play the incorrect sounds during the music test. 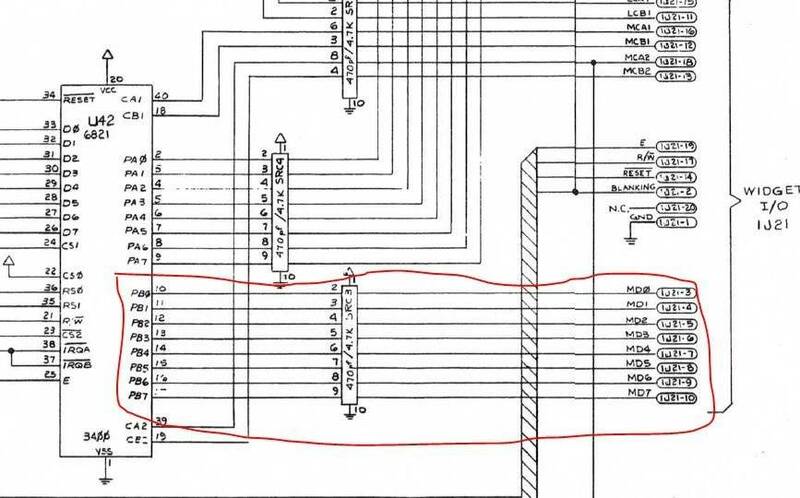 You may want to check the continuity on all the traces I have circled in red. edit: You may want to also check all of the connections from J21. The rest pass through SRC1, and there are a couple that come from U41. Appreciate your time and insight UCE. I’ll check for continuity this eve and report back. Can anyone comments on the music test vid and it’s accuarcy/inaccuracy? 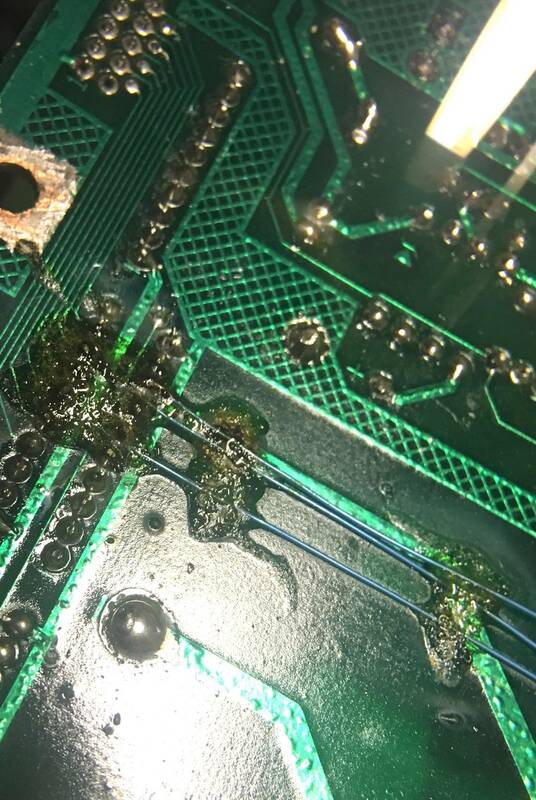 Hmmm, I think I found the culprit... took the main board off to do some testing found what looks to be corrosion bubbling away at the previous repairs. Other than cleaning a connector or two, I've never had to deal with corrosion before. What should I do about this bubbling?? I didn't have time to test continuity this eve, but will do tomorrow. I don't think that bubbling is corrosion related. 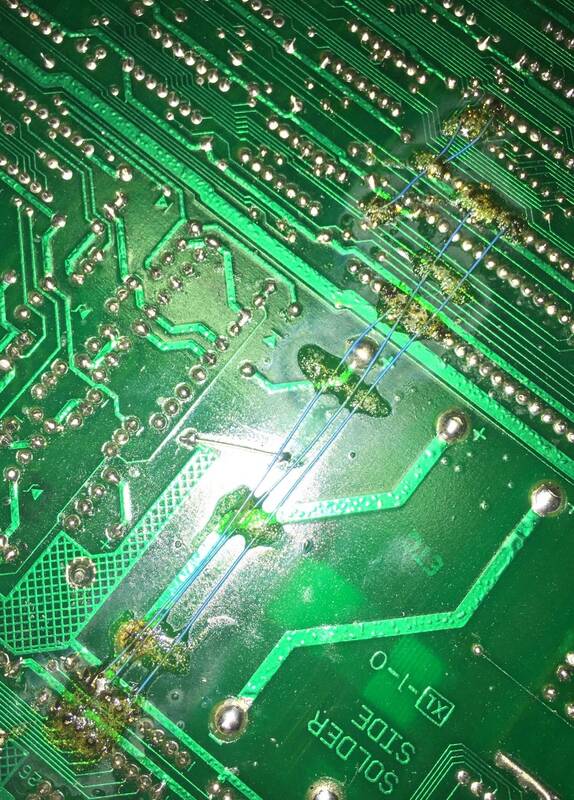 Ive seen a lot of older circuit boards do that. I don't believe it will affect the boards operation. Edit: I assume you are talking about the bubbling in the green finish over the trace lines. What should I do about this bubbling?? That is glue to hold the jumpers in place. Not very pretty but it's effective. No, I was talking about the bubbling where the jumpers connect. The lower and upper points look quite discoloured when you zoom in. Again, I’ve never dealt with corrosion so it’s appearance is new to me. Just looks quite crude. I have to agree with GRUMPY on this one, I am pretty sure that is just glue. Mmm ok, if that is the case then that is good news then. Probably more the colour which sparked my concern. I agree it is a glue type substance, but could it be corrosion building up underneath? 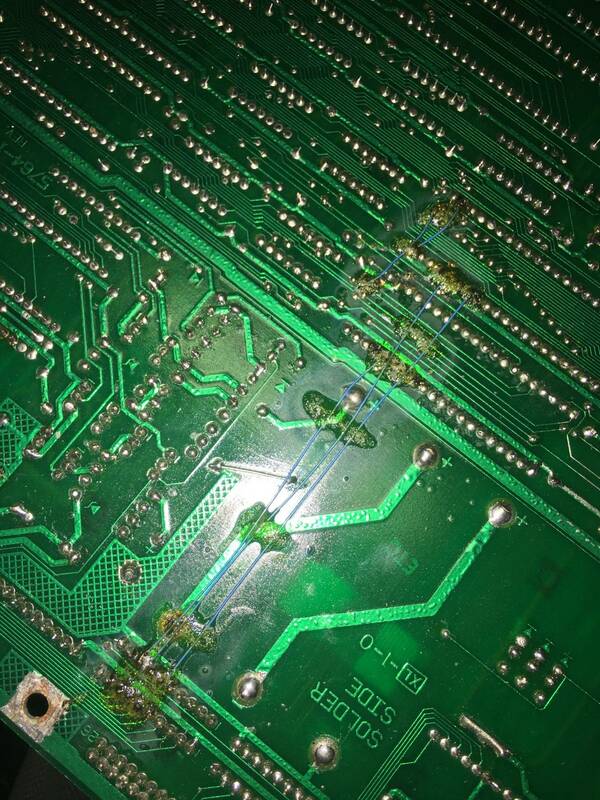 Typically corrosion builds up on the battery side of the board. That glue looks like it was placed there after the repairs were made.